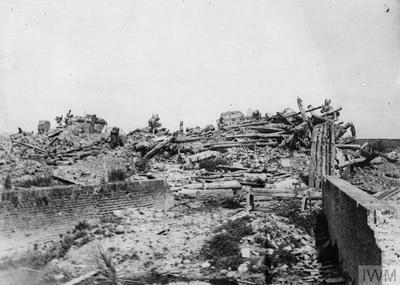 In November 1916, the village of Ficheux was behind the German front line, but by April 1917, the German withdrawal had taken the line considerably east of the village and in April and May, the VII Corps Main Dressing Station was posted near for the Battles of Arras. It was followed by the 20th and 43rd Casualty Clearing Stations, which remained at Boisleux-au-Mont until March 1918, and continued to use the Bucquoy Road Cemetery begun by the field ambulances. 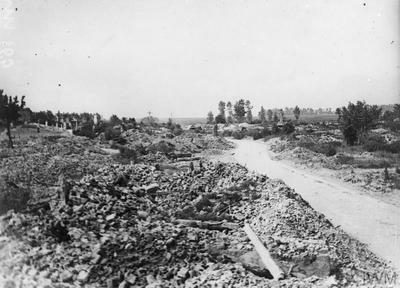 From early April to early August 1918 the cemetery was not used but in September and October, the 22nd, 30th and 33rd Casualty Clearing Stations came to Boisleux-au-Mont and extended it. By the date of the Armistice, it contained 1,166 burials but was greatly increased when graves were brought in from the surrounding battlefields and from small cemeteries in the neighbourhood. The more sizeable of the small cemeteries concentrated into Bucquoy Road Cemetery were the following:-. BOIRY-STE. RICTRUDE BRITISH CEMETERY, on the West side of that village, contained 16 graves of soldiers from the United Kingdom (mainly 56th (London) Division), who fell in March and April, 1917. BOISLEUX-ST. MARC BRITISH CEMETERY, between Boisleux-st Marc and Boyelles, contained ten graves of soldiers from the United Kingdom (nine of the 2/1st London Regiment) who fell in March and May, 1917. 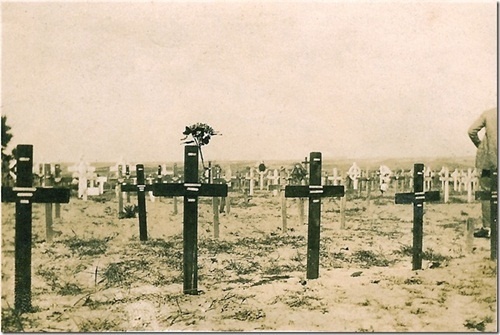 BOISLEUX-ST. MARC MILITARY CEMETERY (or MERCATEL ROAD CEMETERY), South of Mercatel, contained eleven graves of soldiers from the United Kingdom who fell in March and April, 1917. CROSS ROADS CEMETERY, BOISLEUX-ST. MARC, a little East of that village, contained 25 graves of soldiers from the United Kingdom (18 of the 1st London Scottish) who fell in August and September, 1918. BUSHES CEMETERY, BOISLEUX-ST. MARC, a little South of that village, containing 17 graves of soldiers of the 1st Grenadier Guards who fell in March and April, 1918. HAMELINCOURT BRITISH CEMETERY, between Courcelles and Hamelincourt, contained the graves of eight soldiers of the 3rd Grenadier Guards who fell on the 22nd-24th August, 1918. HAMELINCOURT COMMUNAL CEMETERY EXTENSION, contained 20 graves of soldiers from the United Kingdom who fell in March, August and September, 1918. MONCHY-AU-BOIS BRITISH CEMETERY, on the North-East side of that village, contained the graves of 14 soldiers (twelve of the 42nd (East Lancs) Division) who fell in March, 1918. HENIN-SUR-COJEUL GERMAN CEMETERY, in the South-West quarter of that village, where 28 soldiers from the United Kingdom were buried by their comrades in April and May, 1917. The cemetery now contains 1,901 burials and commemorations of the First World War. 168 of the burials are unidentified but there are special memorials to 23 casualties known or believed to be buried among them. Other special memorials commemorate 21 casualties buried by their comrades in Henin-sur-Cojeul German Cemetery, whose graves could not be found on concentration. 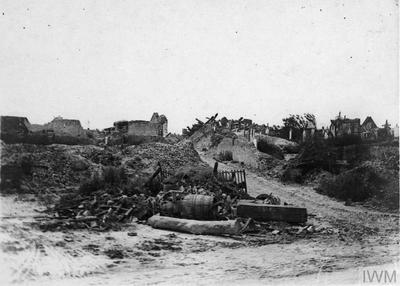 The cemetery was used again in May 1940 for the burial of troops killed during the German advance. There are 136 burials and commemorations of the Second World War; 26 of the burials are unidentified and special memorials commemorate 39 soldiers whose graves in the cemetery could not be specifically located. 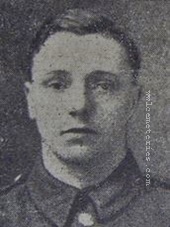 28th March 1918, aged 19. Son of Tom A. and Mary Burrows, of 14, Rochester St., Burnley. 3rd May 1917, aged 34. 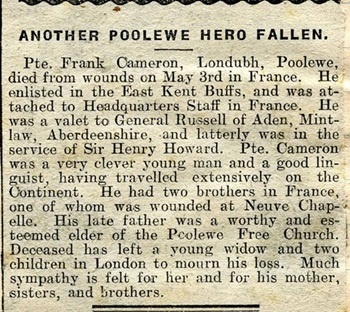 Son of Kenneth and Jessie Cameron, of Londuth, Poolewe, Ross-shire; husband of Helen Watson Cameron, of 33, Marylebone Lane, Wigmore St., London. 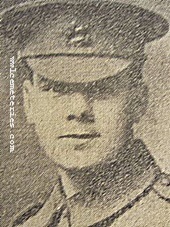 21st August 1918, aged 27. 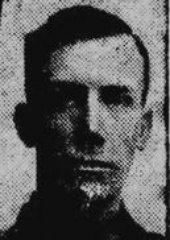 Son of James and Sarah Casey, of Darwen; husband of Margaret Casey, of 113, Grey St., Burnley. He left a widow and two children. Prior to enlisting he was employed at New Hall Spinning Mill, Burnley. "Dear Madam, it is with deep regret that I have to inform you that your husband was killed in action during the operations of 21st August. He was hit by a snipers bullet in the stomach, and died immediately. His loss is greatly felt." 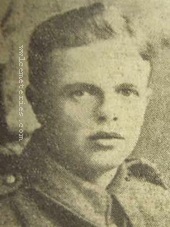 28th September 1918, aged 23. Son of George and Blanche Cochran, of Sweets Corner, Hants Co., Nova Scotia. He died from head wounds he received in action, six weeks before the end of the war. Picture courtesy of Beverley Phillips Shanks, a double first cousin once removed of Harold's. 8th August 1917, aged 30. Son of George and Eliza Day, of 27, Elizabeth St., Luton. Was in the retreat from Mons. Wounded three times. 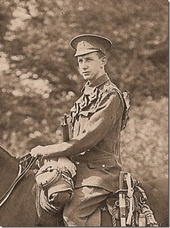 21st August 1918, aged 21. Son of Thomas and Margaret Ann Dunkerley, of 28, Rectory Rd., Burnley. Formerly of the 10th Bn. 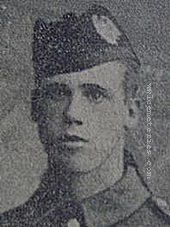 Cameronians, (Scottish Rifles), Herbert later joined the Tank Corps in January 1918. Prior to enlisting he was a weaver at Slater's Mill, Calder-Vale Road, Burnley. "I have had many an hour with him out here, he was buried along with two more of the Tank Corps. I will plant something on his grave in the course of a day or two, which I might say, is in a village about four miles from -------. I know it must be a hard blow to you all at home. I cannot express my feelings towards you on paper." 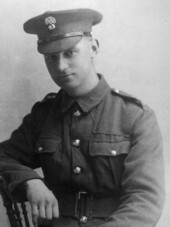 21st August 1918, aged 26. Son of Henry and Mary Louisa Elsworth, of Iris Villa, Scholes, Leeds. 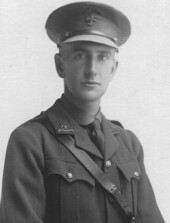 Herbert Wolton Fox, D. C. M.
9th April 1917, aged 22. Son of Mrs. A. E. Fox, of Great Ryburgh, Fakenham, Norfolk. Nephew of Mr and Mrs G. L. Smith of the Bath Arms, Kingsmead Street, Bath. 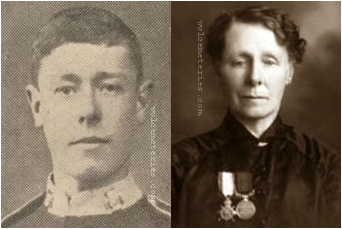 The above pictures show Herbert and also his mother wearing his DCM along with the 1914/15 Star. Herbert was one of 3 children born to Harry and Annie Fox, he was baptised in Ryburgh on May 26th 1895 although at that time they were living in Fulmodeston. It is believed they moved to Ryburgh around 1900 living near the school in the area where 58-64 Station Road are today. His father died in 1901 at the age of 35. Some time later Herbert moved to Cirencester to live with his Aunt Harriet. According to the Census of 1911 he was employed as an under-gardener domestic. A regular soldier on the outbreak of war his regiment the 2nd Battalion Wiltshire Regiment were stationed in Gibraltar. They were mobilised on the 29th July 1914, arriving Southampton on the 3rd September 1914. Attached 21st Brigade 7th Div they landed at Zeebrugge on the 6th October 1914. They were immediately in action in the defence of Antwerp; falling back from there they became entrenched at Reutel east of Ypres in Belgium where they took part in the First Battle of Ypres. 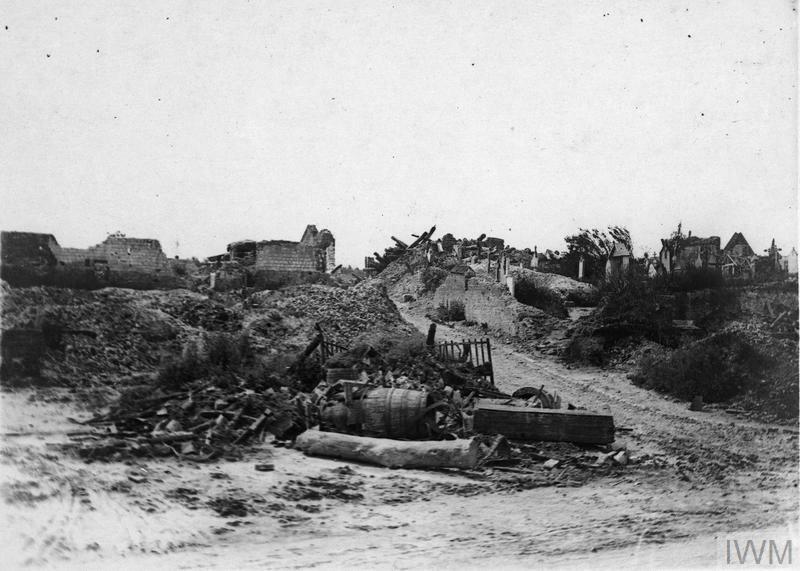 1915 saw them in Fleurbaix , their next action would be at Neuve Chappelle. Their last action that year was at Loos, famous for the fact that the Queen`s uncle Fergus was killed there. 1916 found them in the Amiens area but by July 1st the opening day of the Battle of the Somme they were fighting in support at Montauban, in Trones Wood they `bayoneted their way through German lines`. This action led to the award of no less than 23 gallantry awards. Herbert himself was later awarded the `Distinguished Conduct Medal` (DCM) on the 28th July, his citation read: 8829 L/Cpl H. W. Fox Wilts Regt. (sic) `For conspicuous gallantry and resource as a telephone linesman. On several occasions during bombardments previous to an assault he kept up telephone communications and repaired and maintained lines under the heaviest shell fire. His services were invaluable, and he always performed his work with coolness and courage under the most dangerous conditions`. 1917 his regt. were still in France for the first 3 months leading up to opening day of the Battle of Arras which commenced on the 9th April the day of Herbert’s death. On that fateful day the Wilts attacked the Hindenburg line with only a few reaching their objective owing to the barbed wire still being undamaged, a sadly familiar story. It is worth noting that in all these 3 years he had only been home on leave once! Herbert is not only commemorated at Bucquoy Road, but also the Ryburgh War Memorial and Ryburgh Memorial Hall and on the 3rd panel at Cirencester. ‘It is with great regret that I am writing to inform you of the death of your son, No. 8829 Cpl. 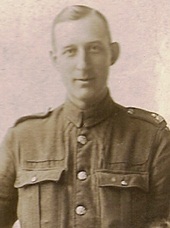 Fox, H.
He was married to Ethel Mitchell (nee Slater) and lived in Oldham. They had two sons Harry Ensor, and my father George Kenneth. George was born 3 months after the death of his father. Harry wrote some beautiful love letters to my Grandmother, the most poignant being the final letter saying what was planned and that he was confident that all would be well. I have the telegram that my Grandmother received and the final cheque that she received from my grandfather, which arrived after his death but which she felt she could not cash in. 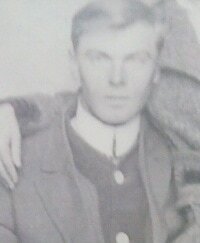 Son of Matthew and Mary Ann Proctor, of 3, Lydia St., Burnley. Twice wounded and once gassed, he was the oldest of six sons and one daughter. Prior to enlisting he was a weaver at Proctor's Mill, Stoneyholme. 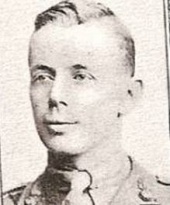 21st December 1917, aged 36. Son of the late Joseph and Eleanor Smith; husband of Eva May Smith, of 12, St. Thomas St., Newcastle-on-Tyne. Marmaduke is shown bottom right. Envelope showing that the letter had been checked by the Base Censor. 6th September 1917, aged 32. Son of William and Alice Tunstall; husband of Elizabeth McNaughton (formerly Tunstall), of High Spen, Rowlands Hill, Co. Durham. Native of Greenside, Ryton. 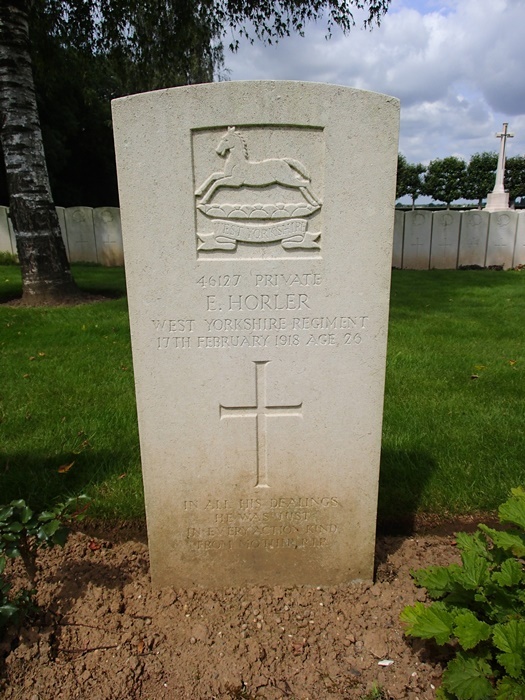 46127 Private Ernest Horler, 12th Bn. 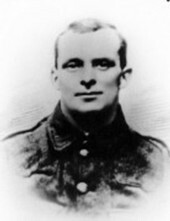 West Yorkshire Regiment (Prince of Wales's Own) executed for desertion 17th February 1918, aged 26. Plot II. L. 14. Son of Edmond and Sarah Horler, of 3, Harfield Terrace, South St., Yeovil. 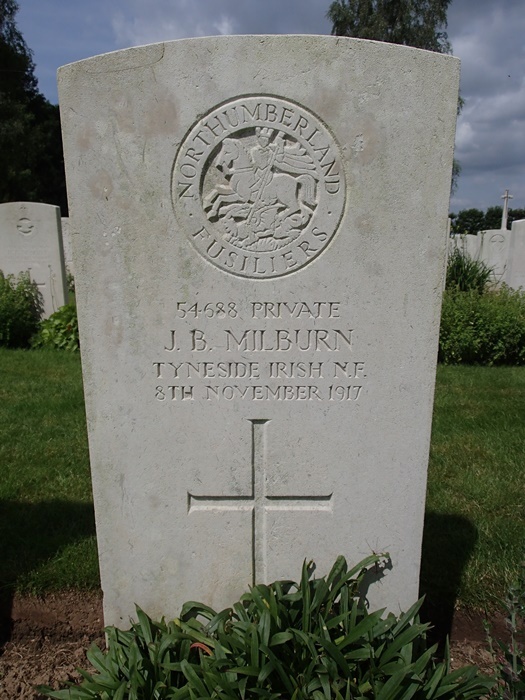 45688 Private John B. Milburn, 24th/27th (Tyneside Irish) Bn. 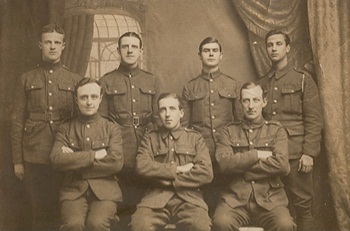 Northumberland Fusiliers, executed for desertion 8th November 1917. Plot II. C. 8.